The Long Beach Gay and Lesbian Chamber of Commerce (LBGLCC) invites you to attend our Business After Hours networking event. 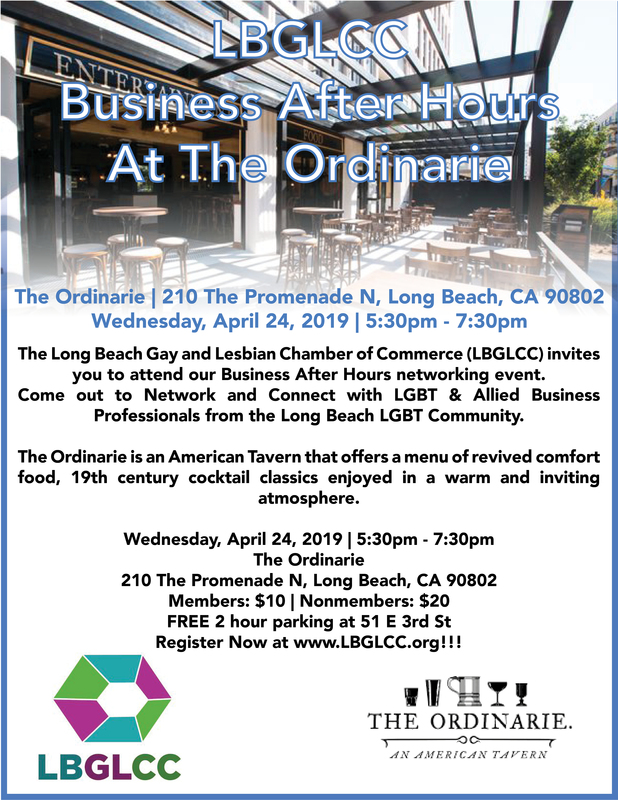 Come out to Network and COnnect with the LGBT & Allied Business Professionals from the Long Beach LGBT Community. The Ordinarie is an American Tavern that offers a menu of revived comfort food, 19th century cocktail classics enjoyed in a warm and inviting atmosphere.